Jan 20- Today felt so weird to not have a p-day. We were able to stay busy which was good to keep our minds off of not having a p-day. We met with Diana Cox this morning. We went to her house but she decided she wanted to have the lesson at the park so we walked over to the park and taught the restoration and went more in depth about the priesthood. She had some questions that we were able to answer for her. It went really well we were happy about that :) After we had lunch and went to the park to public write. We wrote in our journals and wrote thank you cards to people. We were able to talk with many families that day since school was out and the weather was great! After we had dinner with Sister Lee and had a FHE with her. We played restoration jeapordy that Sister Edwards had. That was really fun! Jan 21- This morning we had district meeting. It was the last one we were going to have with this district since transfers are next week. We had a lesson with Diana Cox but she had to cancel so we went and visited people on our 15 names list that the ward council made for us. None of them were home so we went tracting. We changed it up a little bit though, instead of doing our normal greeting we just decided that we would ask if we could read a scripture to them, we read Hel 5:12. We did this for every door and no one who answered it slamed the door in our face! It was the best idea ever! We even got a return appointment with someone :) After we went to dinner with the Heaton family. He is the young mens president. They are such an awesome family! We sat and talked with them for awhile and asked to be more involved with the youth in our ward and how we could do that. Its a little harder for us to interact with the young men since we are sisters but we really want to and think it will help this ward. Jan 22- We had a lesson with Diana Cox this morning but she wasn't feeling well so she had to reschedule with us. We then went to service in Highlands ward with the elders. We helped Sister Anderson an elderly woman move back into her home after a flood. She was living at a hotel for 3 months and her house is finally ready to move back into. We helped her unpack all of her boxes. It was fun to see her stuff and she had a story about everything! We then had a lesson with Diana Dire where we played restoration jeapordy which was fun and was good for her. We then had another lesson with Tyler Johnson which was such a great lesson. We decided to be bold with him this time around. We shared a conversion story with him and told him he needs to come back to church. He says he doesnt go because he has his kids that day and he cant bring them to church because of the ex-wife. We said that he needs to make this change if he wants to be with his family forever. He needs to keep his covenants to get those blessings, we asked him to pray about it and he said he will for sure and thanked us for being so bold with him. After we went to Panda for dinner and went to see a potential but he wasn't home. We went and chalked LAs driveways for the evening since we didnt have any appointments. Jan 23- Today we went and had a lesson with Jane Martin our newest investigator! She is amazing and is so sweet. We taught her the restoration and she has been reading a little out of the Book of Mormon and loves everything so far. 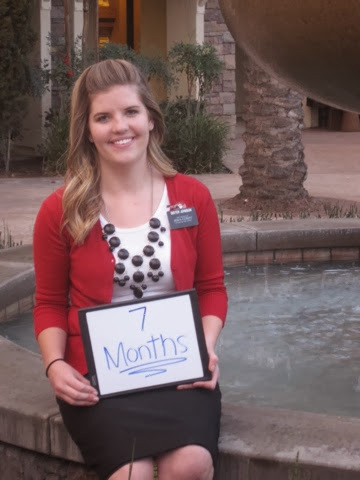 She still has questions about things and is shocked at what we do for 18 months as missionaries but she is amazing! We had dinner with the Moss family that evening and that went well. Jan 24- Finally our P-day!! This morning we had to go to the mission office because Sister Edwards had a trainer meeting because she is training next transfer. 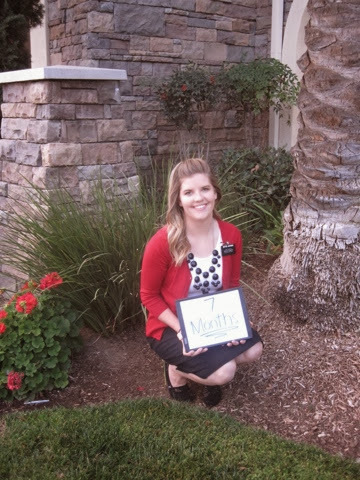 I was on a temp exchange with Sister Bushman who is so cute! Love her so much. We talked while our companions were in the meeting. We then had our ride pick us up there to take us to the temple. I love temple trips! It is so cool to see our zone in the temple together. It is so tender and sweet. 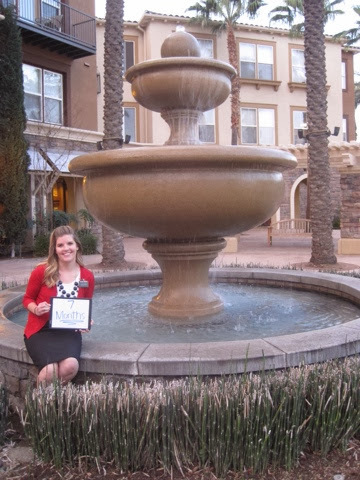 I so needed that temple trip and loved every moment of it! After the members took us out for a lunch and dinner meal and then we came home in a panic cause we had so many things to get done and not enough time. We had exchanges later in the evening with our sister training leaders. I went to Upland with Sister Ott while Sister Edwards stayed in our area with Sister Cook. Jan 26- Last night I was sick so I slept in until I had to get ready for church. I still wasn't feeling well but we had to go since it was Sister Edwards last time going before she goes to Hisperia. We had a busy day so I didn't have time to be sick so I took meds and hoped for the best! We went to church and sat with one of our favorite families the Diebolds and Marissa and Nicole who are their friends we have been teaching. Church was great and many people came up and said bye to Sister Edwards and we went after to some of her favorite people to say bye and get pics with. We stopped by the Diebolds, the Yates ( her daughter Jennifer is a LA we are working with) Aneeka and Charlie and the Dires! It was a fun day but the best part about it was that I was able to be apart of something very special. I was able to attend Diana Dire"s Patriarchal blessing. It was one of the best experiences I will have out here. I felt the Spirit so strong and was so grateful that Diana wanted to share this moment with me! Well that was my week! I am so excited about the changes and experiences ahead of me. I am super excited about this new transfer with Sister Green I know we are going to kill it!! :) I love you all very much!